Smoke from a flaming toaster filled his living room quickly, but Robert “Bob” Chambers couldn’t call for help. 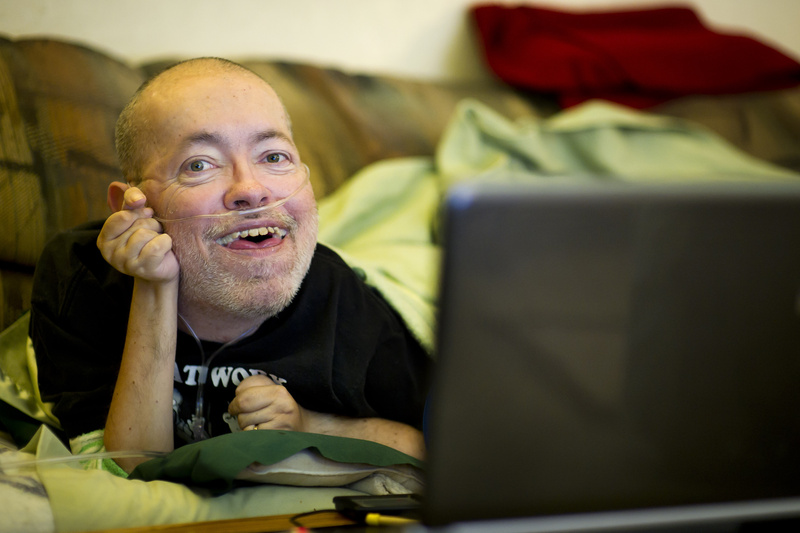 Muscular dystrophy limits his movement, and the 51-year-old Spokane man’s phone was too far out of reach. So he turned to the chat room in an online computer game he accesses through Facebook. Players in Indiana and Texas called authorities, and Spokane firefighters soon carried him to safety. “I did what I tell everyone not to do, and that’s put your address on the Internet,” Chambers said on Wednesday. Now, as Spokane fire officials marvel over an unusual case with a happy ending, Chambers’ wife, Patricia “Pat” Ducham, is having second thoughts about a game she once despised. Assistant Fire Chief Brian Schaeffer said the blaze, which was contained to the toaster, could have grown more dangerous had crews not been notified when they were. “It definitely is a bizarre case, but it shows the benefits of technology for sure,” Schaeffer said. The fire sparked Tuesday morning when Ducham was taking her grandchildren to school. A pastry left to toast became stuck, and smoke filled the kitchen and adjacent living room, where Chambers was on the couch. Chambers messaged his friends in the Evony chat room just after 8:35 a.m. Fire crews arrived at the home on East Sanson Avenue at 8:45 a.m., Schaeffer said. A woman in Indiana had called her local 911 operator, who transferred her to Spokane County dispatchers. Another player in East Texas called 509-911 and spoke with Spokane authorities. A skeptical 911 employee called Spokane fire dispatchers but wasn’t sure if she should believe the report. “My caller is actually in Indiana and was playing online and someone posted that he was disabled and his stove was on fire and he couldn’t get out, and that’s all we know,” she said, according to a recording released by the fire department. Lucky for Chambers, fire crews took the call seriously. “I could be in the hospital recovering from smoke inhalation right now,” Chambers said. Or worse. Instead, he’s catching up with friends around the globe in the medieval fantasy world that may have just saved his reality.